If you’re looking for some equipment to help you keep pathways clear and remove leaves from lawns, then you’ll most likely be considering a leaf blower or a garden vacuum. If you’ve taken some time to start looking at different options available, you’ll notice the massive difference in specifications and also price. We’ve created this guide to give you an idea of some of the options available and what to look for when purchasing a leaf blower. Leaf Blower, Garden Vacuum, or Both? When you’re searching for equipment, you may have noticed that there’s a variety of types. These include blower only, vacuum only, or machines that have both a blow and vacuum function. When it comes to deciding between a blower or a vacuum, there are a few things you’ll want to consider. What are you planning to do with the debris and leaves? If your sole aim is to clear an area of leaves without worrying too much about collecting them up, e.g. removing wet leaves from a path, you may only require a blow function. If you would like to clear the leaves from an area completely, rather than just moving them, then a vacuum may be more suitable. They are generally capable of collecting light garden debris such as leaves and needles, but not sticks or stones. Some more powerful vacuums can even handle litter, but you will need to check the manufacturer’s guidelines before attempting this. Vacuums generally require you to move slowly over the area that needs to be cleared meaning it can be quite a time-consuming way of clearing leaves. Should you be planning to compost your garden debris, a leaf blow-vac or a garden vacuum is most appropriate as they come with collection bags, most are also equipped with a shredder to help the leaves to rot faster. How fast do you want to clear the area? When speed is particularly important, you may wish to opt for a leaf blower or a leaf blow-vac, depending on what you plan to do with the leaves. 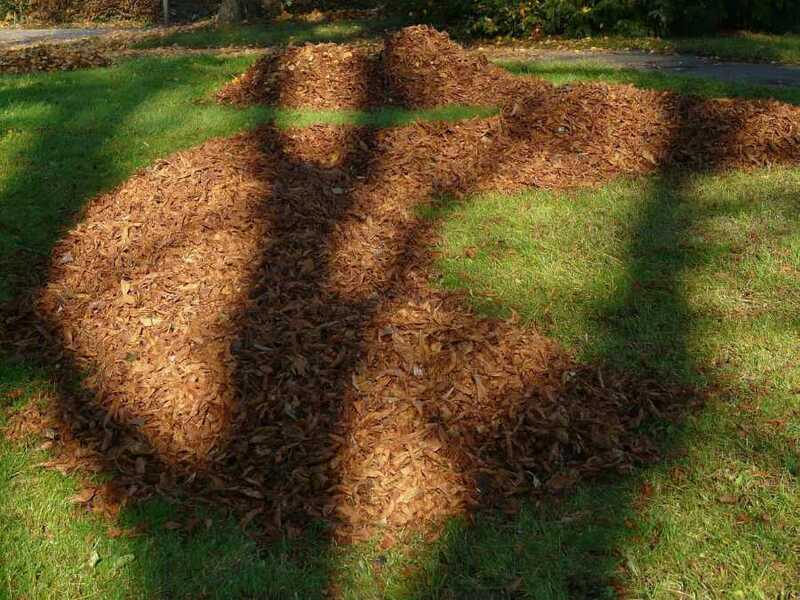 By using a blow-vac you can blow the leaves into a pile and then vacuum them all up in one place. This means that you can collect the leaves quicker than vacuuming alone. Not only do you have a choice in garden clearance equipment, you also have a choice in power supply. On the electric side, you have a choice of either corded or wireless equipment. There is also the option of using petrol powered machinery. As a rule of thumb, you are likely to find that electric variants are less powerful. This is one of the reasons you will rarely see them used in a commercial setting. As well as being less powerful they are generally less versatile. The upside of electric powered blowers and vacuums is that they are often lighter than their petrol counterparts. Even in a domestic setting, if you have a long garden that stretches more than 10m from a power supply, you’re likely to struggle to find a corded blower that will cover all of your garden without using an extension lead. This constraint really means that corded machines are only really suitable for smaller domestic gardens. Although a mains powered leaf blower may be more restrictive, if you have a small outdoor area, it offers you a cheap way to effectively keen your garden clear of debris. If you want a more practical electric option for your garden, a cordless leaf blower is the way to go. Although the freedom from a cord means that you can move more freely without worrying about a plug, you still won’t be able to go too far or use it for too long without recharging the battery. This, again, rules cordless blowers out as an option for commercial users. 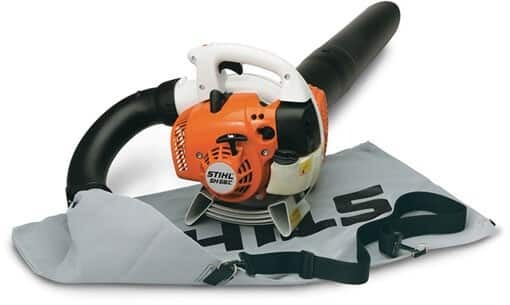 Whilst cordless variants make an electric leaf blower a more viable option, it still doesn’t carry the power or the usability of a petrol-powered machine. Petrol powered versions provide you with more power meaning you can clear a bigger area quickly. They are ideal for domestic users with large gardens and commercial users due to their manoeuvrability and their ability to be used for a long period of time. It is also possible to have backpack petrol blowers that allow you to spread the weight of the machine across your shoulders, making it more comfortable to use for a long period of time. The downside of a petrol blower is really the cost. If, however, performance is the key attribute you’re looking for, then nothing beats the petrol variant. When you consider size, you have to consider both the size of the area to be cleared and also the size of the machine. Typically, the larger the area you are clearing, the larger the machine will need to be. As a result, you will want to consider how comfortable the machine is going to be to use. If you’re only looking to clear a small area, then you will likely only need a blower/vacuum with a small motor, which helps to keep the weight and size of the machine down. As well as having a lighter machine, you are also likely to only be using it for short periods of time. As a result, you don’t need to worry overly about having things such as straps to make the machine more comfortable to use. When you start looking at more powerful petrol machines, with larger engines, comfort should be a greater consideration. If you’re purchasing a machine for a larger area or commercial use and you’re likely to be using it for significantly longer. You will, therefore, want to consider things such as straps and, if the area you’re covering is really big, you may wish to consider a push/pull blower/vac that’s fitted to a cart. 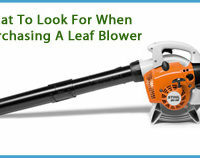 There are quite a few things to consider when it comes to your leaf blower or garden vacuum. If you’re looking for equipment that will allow you to effectively cover a small area, then an electric option is likely to be the best option for you. If you have a more demanding area to clear, then a petrol powered machine is going to be far more appropriate. If you still have questions about which leaf blower or garden vacuum is right for you, you can contact the team at The Mower Shop. We’ll be happy to use our years of experience to guide you towards the most appropriate option. In addition to advice, we’re also happy to offer information on servicing costs/intervals, as well as offering demonstrations. All of this is invaluable when you’re making a significant investment in a piece of equipment.